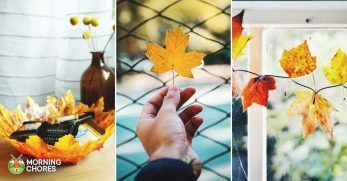 Have you ever imagined how cool is that to have a secret hideaway when you were a kid? Well, guess what, you kids do too. 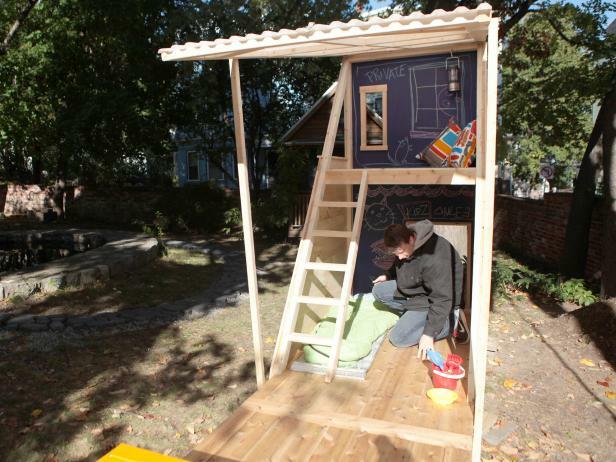 Playhouses can be really fun for kids. 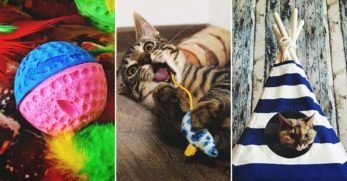 They can spend hours playing inside it with their toys and friends instead of laying down indoors with the latest gadgets. That's a luxury these days. 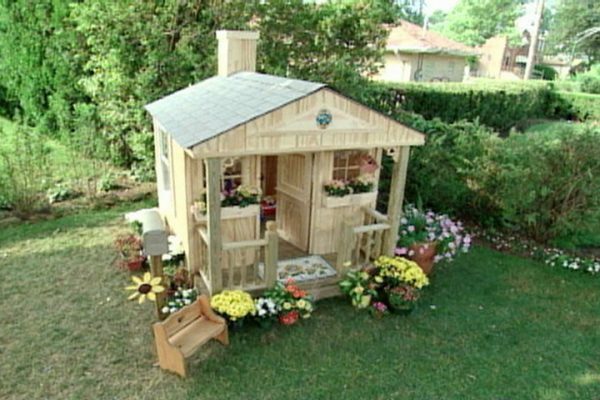 Besides, building a playhouse is a fun woodworking project you can do with the whole family. 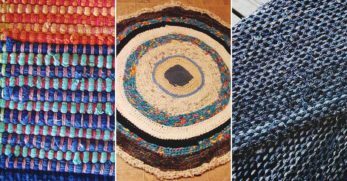 So, if you're looking for an easy project that can be finished in a weekend, this is it. 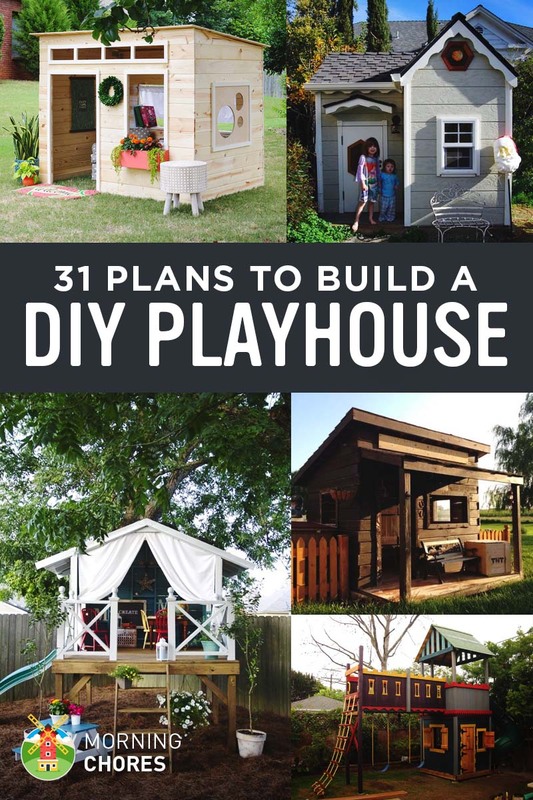 To get you started, we have a collection of 31 free DIY playhouse plans complete with pictures and step-by-step instructions to follow. 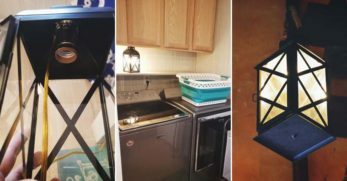 Does the thought of having to build a miniature house terrify you? I’d say you aren’t alone. 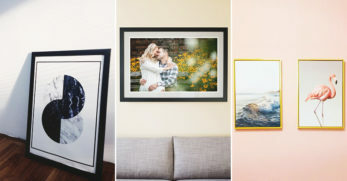 And after this design idea, you won’t have to be intimidated by that thought any longer. 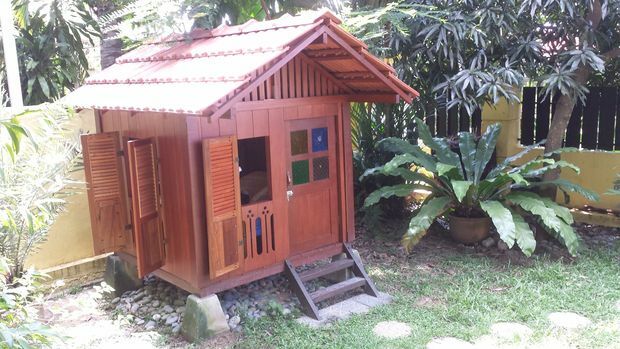 Because this playhouse has a very simple and unique design. 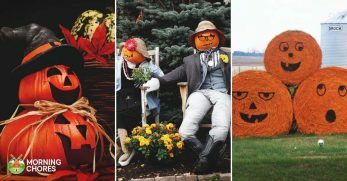 But it is still outdoors and appears to be a fun and fashionable way for your children to enjoy the backyard. Is your child a book worm? 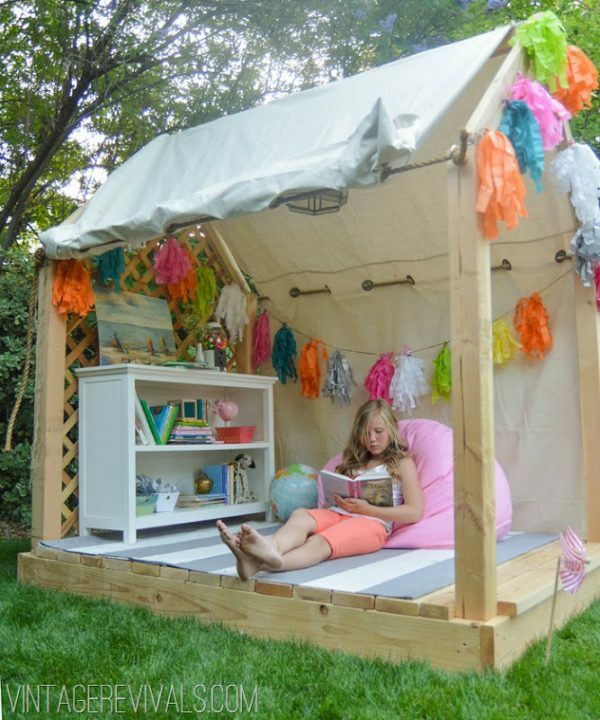 Well, then reward that awesome behavior by giving them an outdoor reading nook. And it can be accomplished rather easily with this great plan. Then they can decorate it and let it become their own personal space. 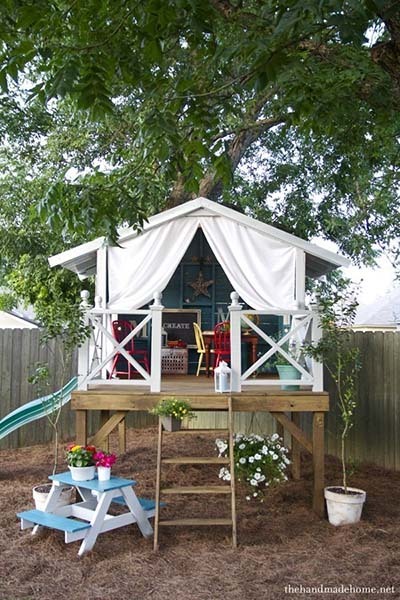 This playhouse is absolutely adorable. If you have a little or girls that likes to pretend that they are a princess, then this might be something they’d absolutely love. And it would certainly add a splash of character to your backyard. It appears to be rather detailed but if you are an experienced builder this might be right up your alley. Do you love the cob style house? Well, I’m personally a huge fan of it. I love how natural it is. And it looks very whimsical. 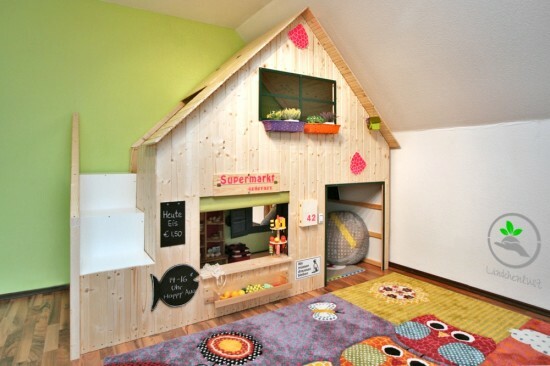 So if you love the cob style look then why not use that as your inspiration for a playhouse? 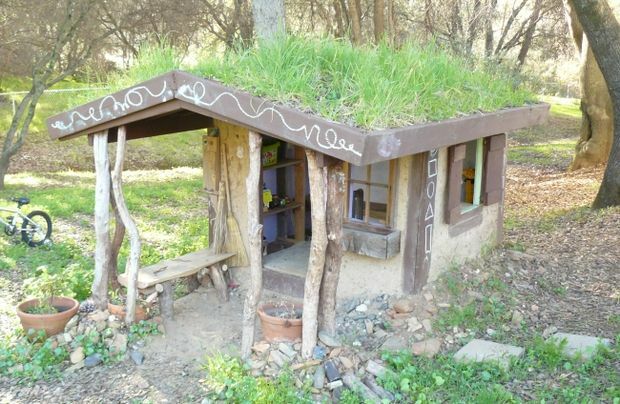 With a grass roof and the natural appearance of it, your child is sure to feel like they are tucked out in the woods no matter where they are located. 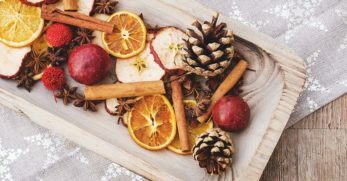 Do you have a little knight that sits around your kitchen table? Well, if so then why not give him his own castle? But I’m not talking about building him a literal castle. Instead, I’m thinking a miniature version as a play fort. That way he can run, play, and pretend all day long. I know my boys would love it! This is a really neat playhouse. It is actually an indoor playhouse. But that has its perks too. 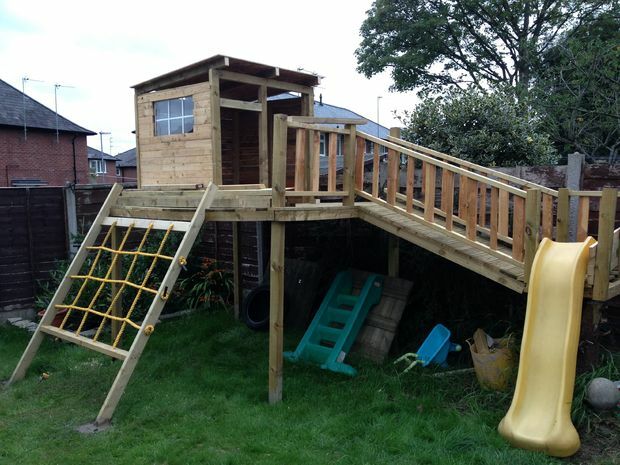 And the main one is that this playhouse doubles as both a playhouse and a bed. 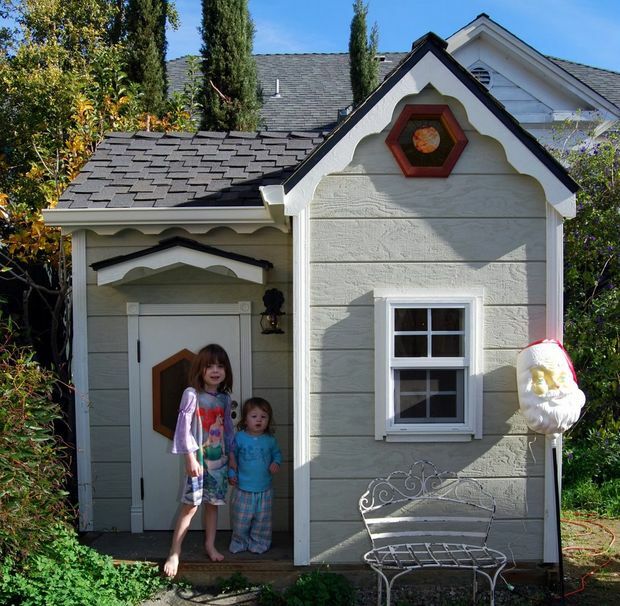 So if you are thinking you don’t have room outside for a playhouse then you should really give this one a closer look. This hideaway is so cool. They have it dressed in the photo like it is more for a girl. 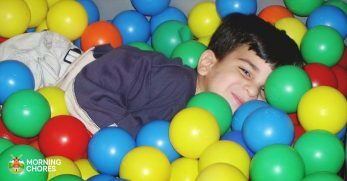 But it could easily be redecorated to suit a boy as well. 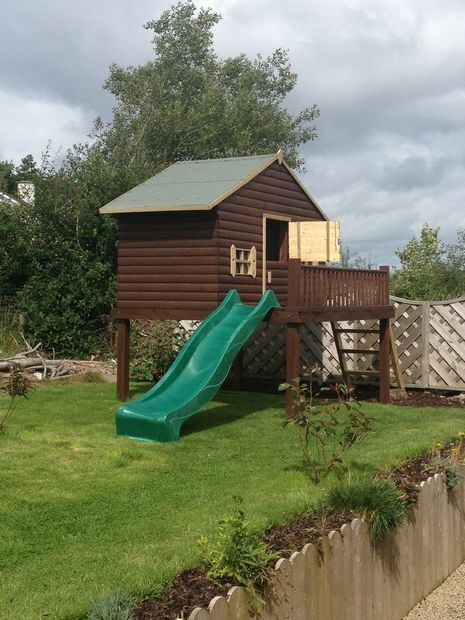 And this playhouse even has a slide as an optional exit. It appears simple enough to build too. 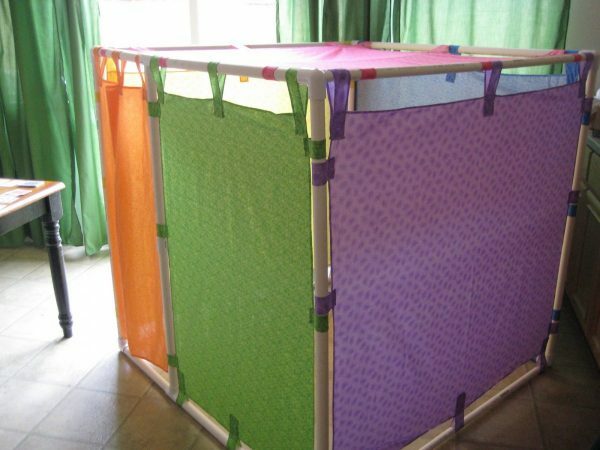 So if you are looking for a neat project to build for your child then you might want to give this one a closer look. 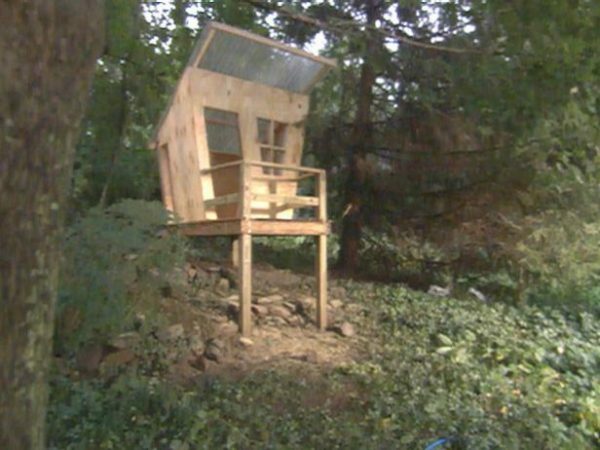 This playhouse is actually a treehouse. It isn’t as extensive as you might think a treehouse to be though. Instead, it has a base that it is built on and a set of steps to enter it. 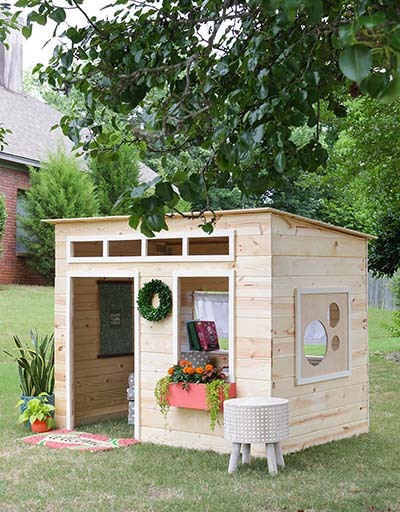 So if you want a playhouse that is a little different than the traditional style, then check this one out. The design is really cute. And honestly, I want one for myself. This playhouse is very different. 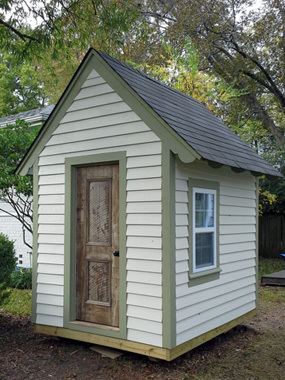 It is a triangle versus the traditional box-style playhouse. And the roof actually doubles as a door. 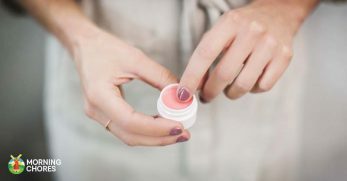 Which is neat because it helps protect everything inside of it from the elements. But what is so unique is that this playhouse is two stories. So it would be big enough to hold multiple children. But also very unique. 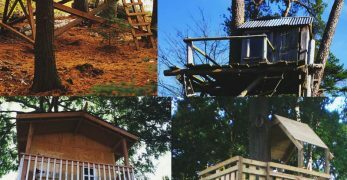 Does the idea of having a playhouse sound expensive? 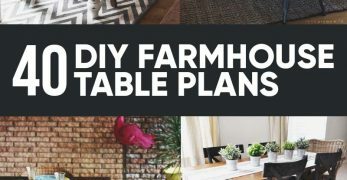 Well, then give these plans a thorough glance. 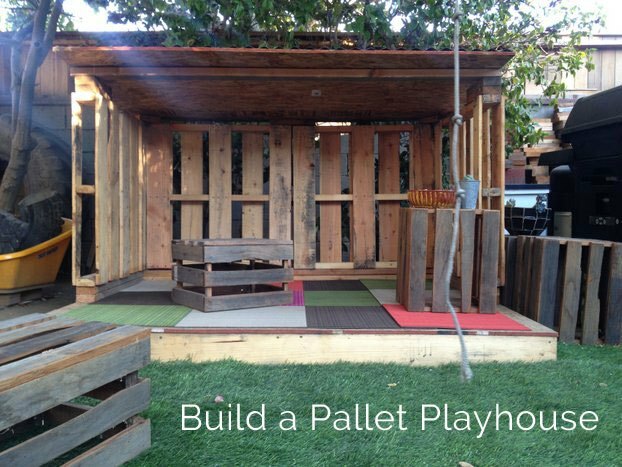 Because this playhouse is made from pallets. And I can’t say enough about how great pallets are to build with. They are sturdy and inexpensive. 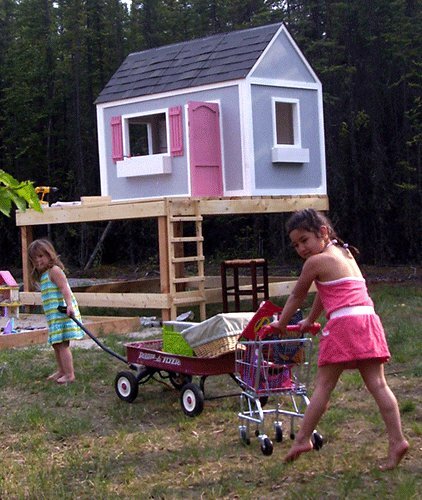 So if you are working on a budget, don’t forgo the idea of building a playhouse. Just look for plans like this one. 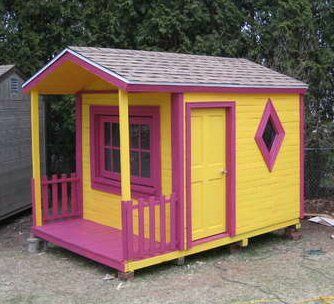 The last playhouse I showed you built from pallets looked like it would be perfect for a girly-girl. But what if you have boys or a girl that doesn’t love the color pink? Well, you look at this playhouse! It is made from pallets. And is a little more open than some of the other playhouses shown. Plus, it looks like a simple build too. 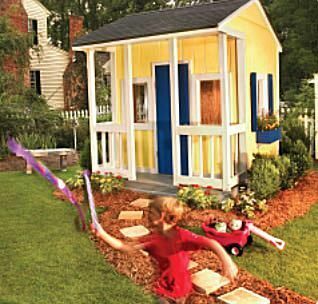 This playhouse looks like a lot of the traditional style playhouses. The main difference is that this playhouse is off of the ground. So if you have a child that would like to feel like the ‘King or Queen Of The World’ then give these plans a closer look. 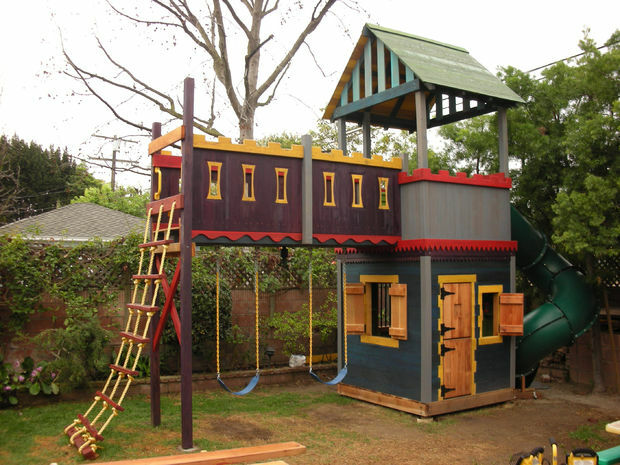 It looks like most children would really enjoy this playhouse. 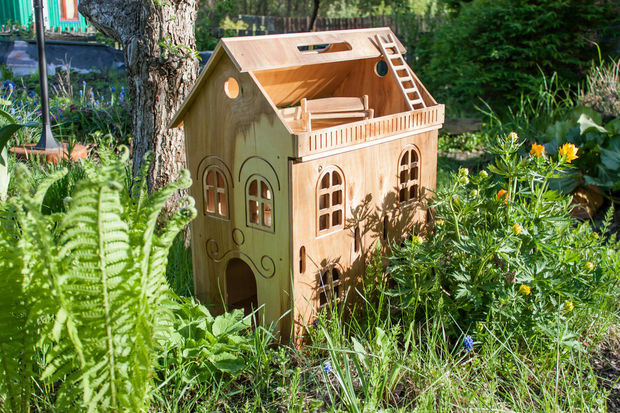 If your children like the idea of having a portable playhouse, then this dollhouse could easily be for them. It would take a little handier work to create this dollhouse, though. 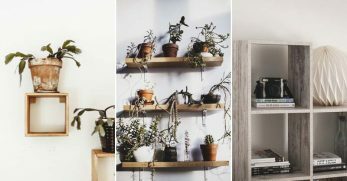 So if you are someone that likes to build smaller projects. Then this might be a good fit. And your child would hopefully enjoy having a handmade dollhouse that they could carry around with them. I love log cabins. So I could only imagine how thrilled I would’ve been as a child to have someone build me a log cabin playhouse. 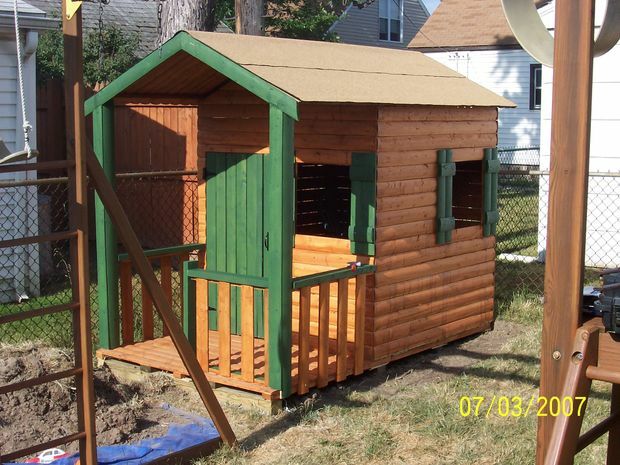 And if you or your child love log cabins (or Lincoln Logs) then they might enjoy this playhouse too. 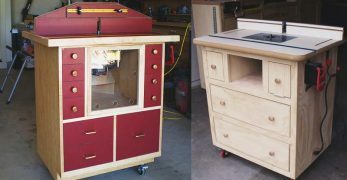 Plus, this site says you can build it for under $300! Did you ever watch ‘The Wonder Years?’ Well, I was a huge fan of that show. And as soon as I saw this house it reminded me of a house that you would see in the suburbs around the 1950’s or so. 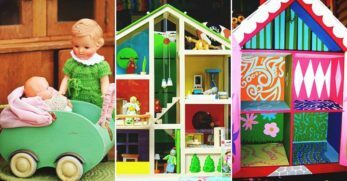 So if you’d love to build your child a classic style house as a playhouse then give these plans a glance. 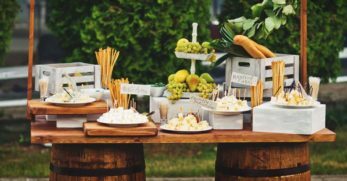 And it can be built from pallets too which should help decrease the costs of the project. Remember how awesome it felt as a child to have a place that was all yours. I know I felt like that over my old swing set. So how much cooler is this playset that it has an attached slide to it? 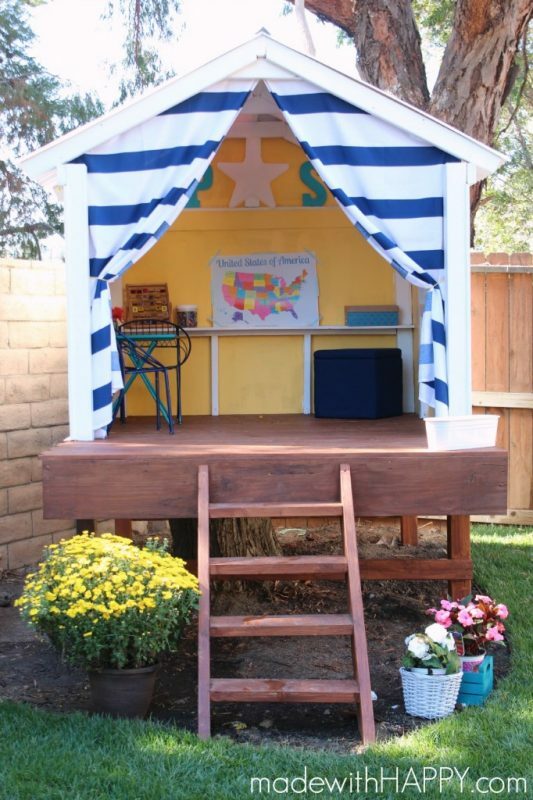 I think most kids would really enjoy this playhouse if for no other reason that it was their very own space. There is something fun about being in a playhouse that’s high above the rest of the world as a kid. You feel like you are in a land all your own. And that is what makes this playhouse so special. It’s the fact that it’s a fort with cool entrances and exits which creates a fun space to let your imagination run wild. This playhouse is awesome! 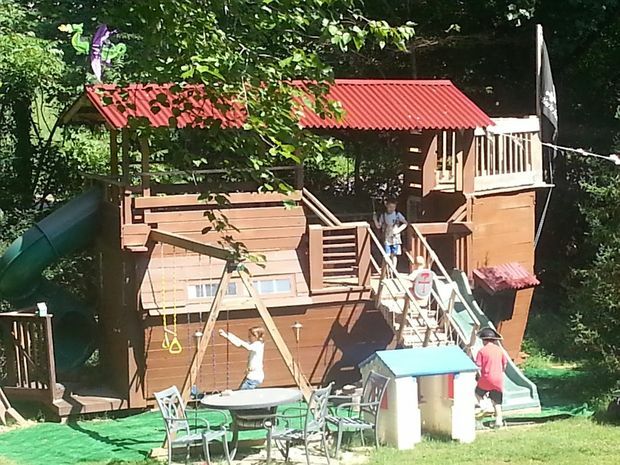 Who wouldn’t love to have this large play space that looks just like a pirate ship. And I don’t think it matters if you have boys or girls. I’m almost positive either gender would love to have this pirate ship as their own. Do you have a child that likes to pretend that they’re a cowboy or an old west sheriff? Well, if so then you’ll definitely want to check out this playhouse. 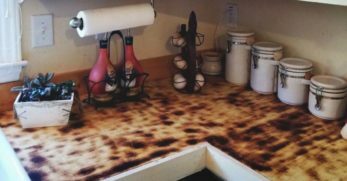 And what makes it so cool is that it is designed to look like an old west saloon. So if your kids are fascinated with the wild west then this could very well be the playhouse for them. 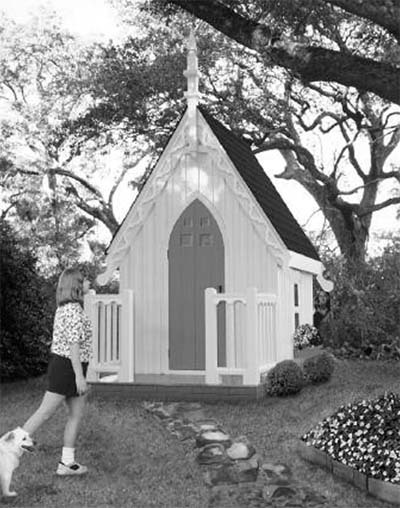 I have a special fondness for this playhouse. I think it’s because my great grandmother had a tiny shed this size in her backyard. And I played in there a lot as a child. So from my experience, this looks like a really awesome playhouse. And I hope your kids will have as great a time in their playhouse as I did in my great grandmother’s shed. But that is the proper name for it. 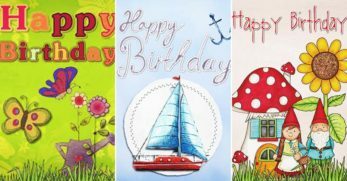 And basically, it is a playhouse that has some feminine characteristics. 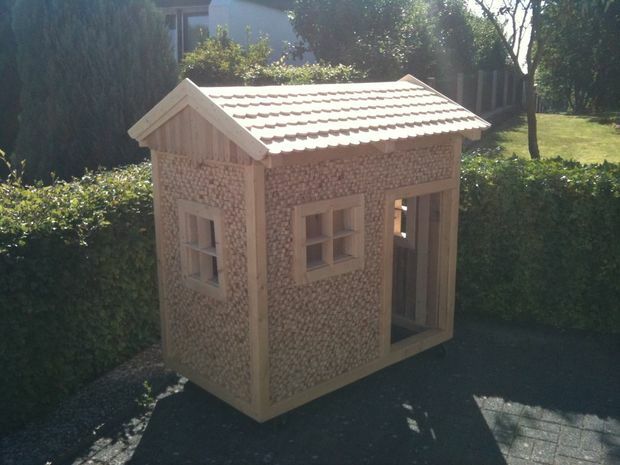 So if you’d like a more feminine playhouse then this might be a good choice for you. This is a beautiful dollhouse. If you are a fan of the gothic style, then you will probably adore this design. It actually reminds me of an old country church. So if you are less about a modern design and more about bringing back the older designs then you’ll definitely want to check this one out. So let’s say you aren’t a pro at building. 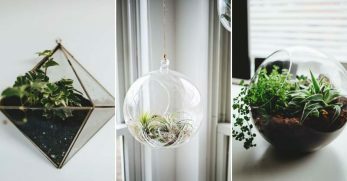 And you really just need a simple design with simple materials that you can try to take on. Well, this is a basic wooden playhouse. The design appears easy enough. And with some help, you could probably have a successful build. 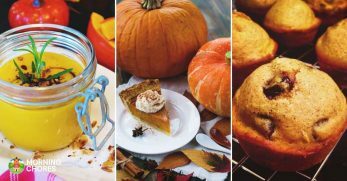 I’m not foolish enough to think that everyone who reads this blog lives in the south (like me.) I know a few of you lucky individuals have to be living the island life somewhere. And with that in mind, I bring you this beautiful island inspired playhouse. It looks as though it would fit perfectly into your Hawaiian dream home. 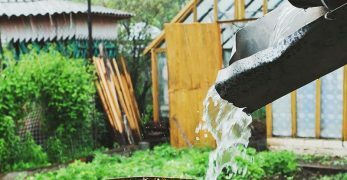 Or even in your backyard with a few plants placed around it. 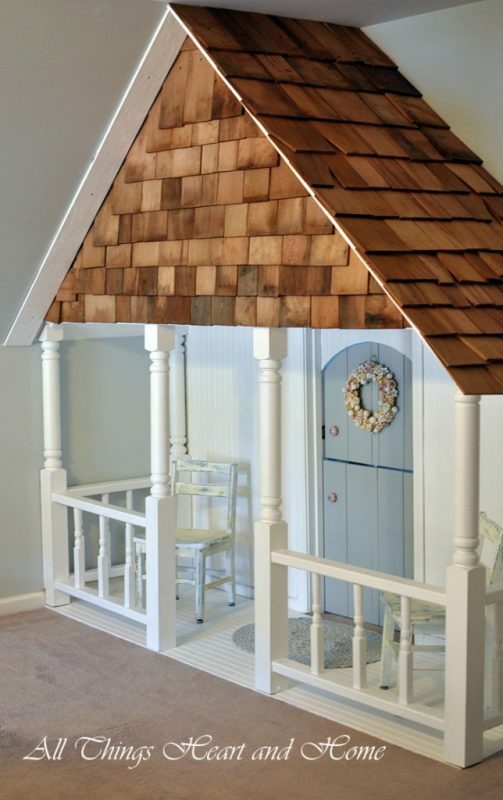 I love this traditional style playhouse. I’ve always had a thing for little yellow houses. There is something about them that I find absolutely adorable and just very welcoming. So it should be no surprise that I think this playhouse appears very welcoming to kids. It just looks like the perfect place to play an imaginary game of house. This cottage definitely caught my eye. It looks very simple to build because it is just wood and basic cuts. 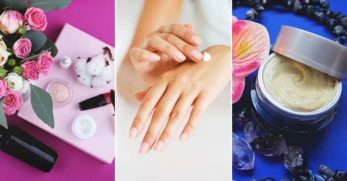 But it is the little details that make it so special. I love the wooden picket fence. It just looks like a place that kids could gather and have a great time. This fort is so neat. You can set it up inside or outside. 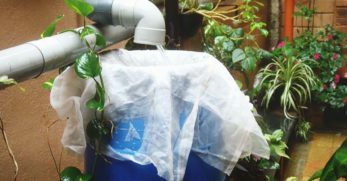 And you can use any kind of material you want to cover the outside. Which means it can be as unique as you want it. But what is so awesome is that this fort looks so easy to build. So even if you think there is no way you can build anything, you need to check out this plan. This design is so cool. And honestly something I probably would have never come up on my own. So kudos to the designers! When I saw this it instantly resonated with me as something my boys would love. And that we would probably build for them. I love the term ‘cowboy constructed’ and that is how the designer said they built this beautiful playhouse. They couldn’t come up with plans. So they just went to the lumberyard and started building. And then went back and put the plans on paper after the fact so others could glean from what they’d done. I must say, they did a great job because this is a beautiful playhouse. I’m going to be truthful. I wish I could make my house look this good. 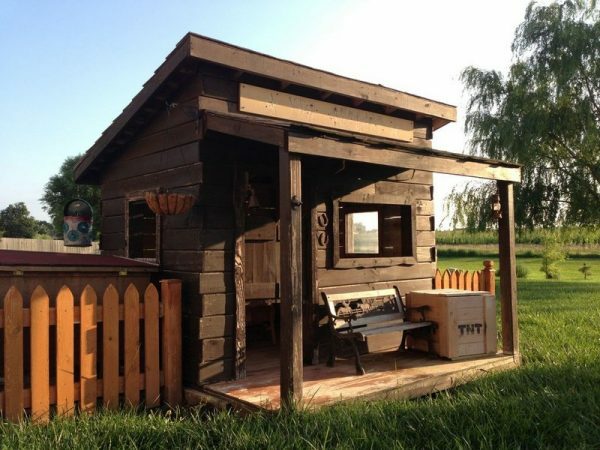 This playhouse is beautiful yet rustic. And all of the beautiful flowers they have staged around it just send it over the top. 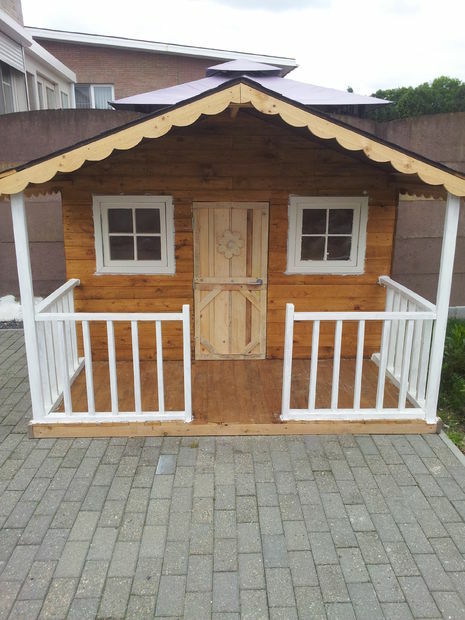 So if you are looking for a simple design that will be welcoming to your kids then you should check this playhouse out.